Fun In the Parks is our carousel event – it visits 8 of our parks during 4 weeks of the schools’ summer holiday, on Wednesday and Friday. 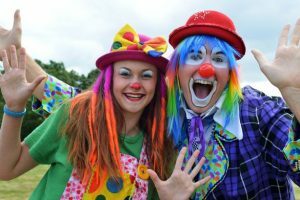 7 events offer entertainment for younger children including Punch and Judy shows, magician, face painting, small fairground rides, balloon modelling, inflatables and fun games and its FREE. The Adventure Park is a new edition this year, bringing high energy fun to the older children of Newton Aycliffe, this event will be at Woodham Park and be aimed at 8 to 14 yrs, this will also be FREE. 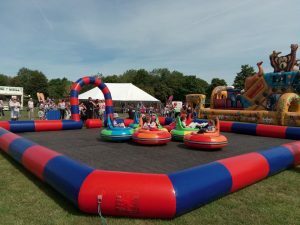 Wednesday 24th July, Town Centre Park – The fun kicks off with two face painters, two extra fairground rides, Bumpy Carz, Play Bus and Assault Course inflatable. 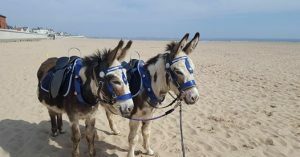 Friday 26th July, Oak Leaf Park- a visit from the Farmyard Flyer, donkey rides and Zoo Train inflatable. 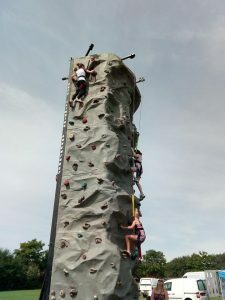 Wednesday 31st July, Woodham Park- Adventure Park, this event is aimed at children who are interested in the outdoors and taking on new challenges, there will be survival talks from the staff at Moor House Adventure Centre, Climbing Wall, Cave Bus, Shooting Arena, Total Wipe Out and the Un-climbable Ladder. 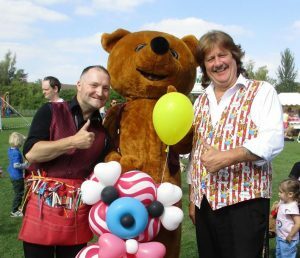 Friday 2nd August, St Oswald’s Park – This park will enjoy a visit from Oakey Bear, there will be a teddy bears surgery for any poorly bears, so bring your favourite teddy bear along with a picnic to experience the fun! Wednesday 7th August, Moore Lane – Dot and Zooky will be teaching circus skills, there will be bungee trampolines body & tattoo artist, and a Bubbologist. Friday 9th August, Horndale Park – a visit from Chase, Skye & Marshall and a Paw Patrol Hunt. Wednesday 14th August, Aycliffe Village Park – Will enjoy a visit from Mickey and Minnie Mouse and a Disney themed hunt. Friday 16th August, Final venue Simpasture Park – plus two face painters Crazy Cottage & Bumpy Carz. The best part is that it’s FREE. 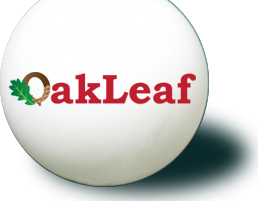 The fun starts at 11 am until 3 pm. 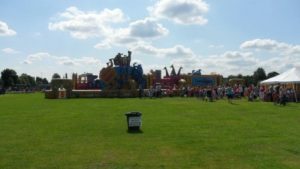 These events are aimed at children between 3 and 8 years (except Adventure Park), for safety reasons height and age restrictions apply to inflatables and fairground rides.